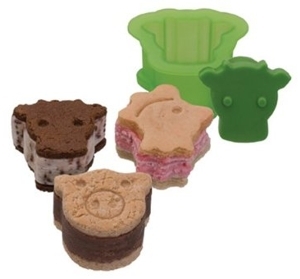 Now you can make fast, easy, and attractive treats with our Ice Cream Sandwich Molds. 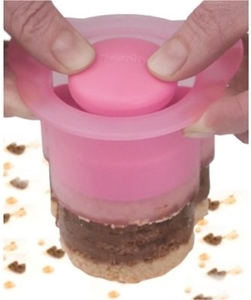 These molds were designed to be the easiest and most fun to use molds on the market. 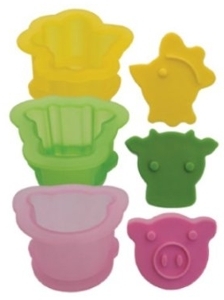 The Farm Animals set includes three shapes; Pig, Cow, Chicken. The bright colors make the molds an attractive addition to any kitchen. The design details are pressed right into the cookie so no extra work is necessary. (3) Press the ice cream between to the cookies and enjoy! Contemporary Ice Cream Toppings Ladle 4 3/4"